We at Vihar Engineering take immense pride to introduce ourselves as one of the trustworthy manufacturers and suppliers of New Contra Rotary Mixer. This Contra Rotary mixer is based on the principle of Contra rotation of Blades for simultaneous beating and scraping operation. It is equipped with a series of paddle type blades of appropriate shape to move the material back towards the centre of the container. 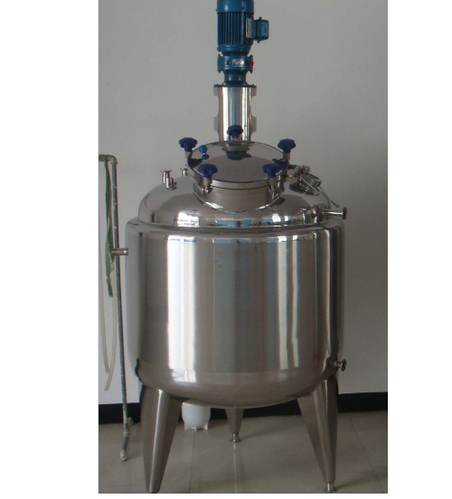 Further, this mixer is widely used for mixing creams, cosmetics, toothpaste and various products. Product container mounted on mounting lugs or legs as required by the customer. Established in year 1997, our organization is engaged in manufacturing, exporting and supplying of wide range of industrial processing and packaging machines. Our range encompasses Rapid Mixer Granulator, Planetary Mixer, Rotocone Vacuum Dryer, Powder Machinery and Liquid Processing Equipment. These machines are precision engineered using quality material and components, owing to which they are ideal for small and large scale production and packaging applications. We export our products in Nigeria, Kenya, Sri Lanka etc.